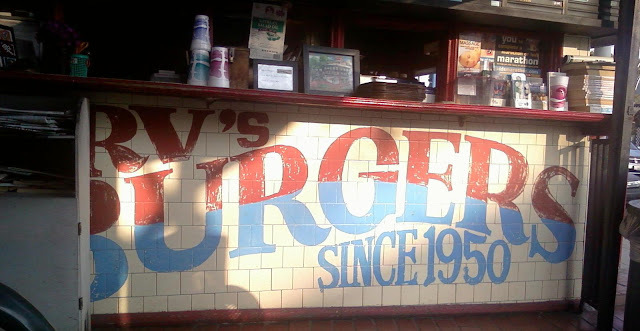 Irv's has been around for effing ever. Established in 1950, so you'd think that they would have their collective crap together 59 years later. It's a cool joint, and the lady that runs it , Sonia Hong, was bubbly, outgoing, and really led off with a great first impression. 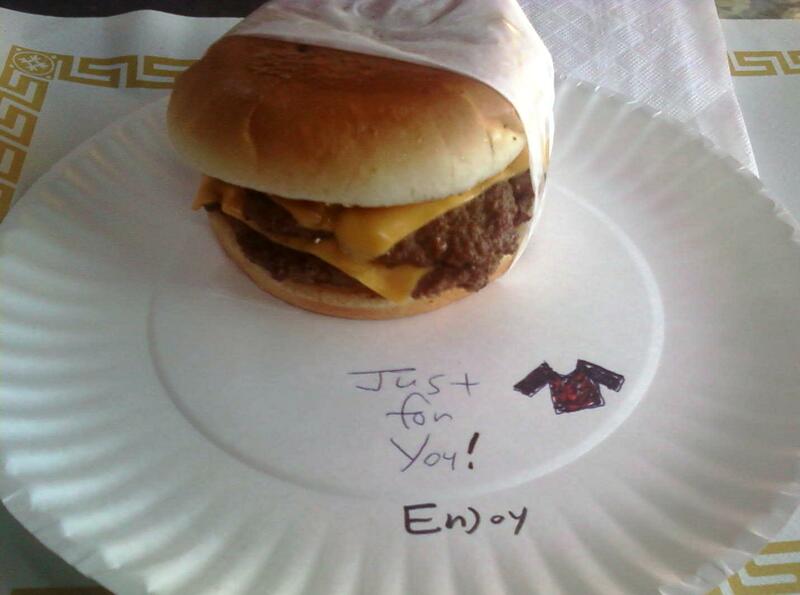 The burger came out on a paper plate, and it was wrapped in white paper with a friendly, hand-written note on the plate. It was piping hot---a first---and it was incredibly refreshing to get a hot burger that stayed hot. This was because they toasted the bun on both sides the entire time that the burger was cooking, so that bun was heated throughout and had a satisfying crispness..an excellent touch. The cheese..American...the patties..thin and pretty lean. The taste...that's were the whole thing went wrong. The taste was nonexistent. This was a miserably bland burger---I really wanted to like this, but it was just a waste of time and money. Too damn bad. If only they could have seasoned the beef and gotten a sear from the griddle onto the patty...the beef was barely browned. All burger joints should be schooled in the Maillard Reaction, because it is key to a decent burger. Anyway...Sonia was too nice to declare the burger "crappy." It was just utterly neutral.